13 Nov Demolition Permit Issued!!! THIS BLIGHT IS COMING DOWN! Thanks to Mayor Biskupski and her team for listening to us very soon after taking office, the Community Development Director for researching the possibilities of action and helping us get to this point. The Housing Advisory and Appeals Board voted June 8, 2016 to approve the emergency demolition permit requested by the CDD. Thank you for signing. As of February 2015 representatives from the Sugar House Community Council met with various decision makers at the city to discuss this issue. We will continue to push this issue and your signature helps demonstrate that residents care about this issue. Updates will be posted as this progresses. 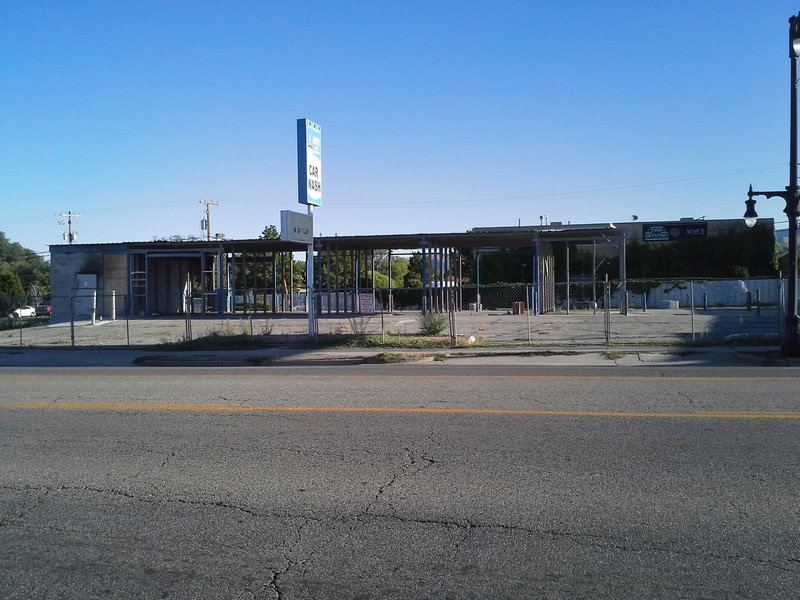 The car wash located at 2100 S and Windsor St has been half torn down with a chain link fence around it for almost 2 years. The city tells us there is nothing more they can do. This is unacceptable. The property owner began demolition without a permit and was shut down. Unless the property owner obtains a permit he cannot continue the demolition. The city has no ordinance to require the owner to get that permit and complete the demolition of the structure. The city only requires they put up a fence and keep the weeds down. We deserve better than this blight. Many cities have ordinances that fine property owners on a daily basis until they get their permit and complete the demolition. The city should investigate this option so we are not left with blight for an undetermined time frame.